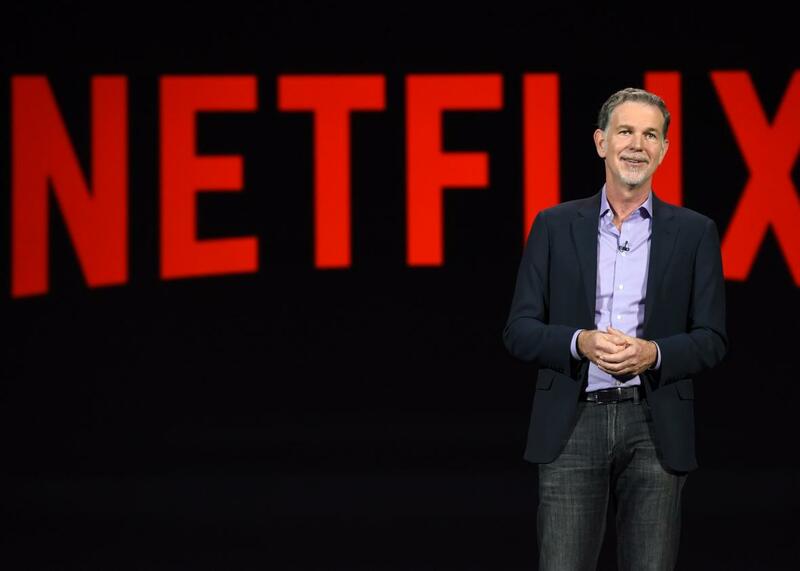 Netflix CEO Reed Hastings at the CES 2016 Consumer Electronics Show in Las Vegas, Nevada. The fight for net neutrality lost a big backer Wednesday: Netflix. The video-streaming heavy hitter has long thrown its weight behind the principle, a shorthand term for barring internet service providers from elevating certain forms of web traffic above others. Passed in February 2015 by the Federal Communications Commission, the net neutrality rules currently on the books mandate that companies like Comcast, Verizon, and AT&T treat online traffic equally, neither selectively slowing nor blocking content. The Trump administration has imperiled those rules. After winning office, President Trump surrounded himself with anti-net neutrality advisers, including one who called the FCC rules “crony capitalism pure and simple” according to USA Today. His appointee to head the federal agency, Ajit Pai, led the charge on a proposal, which was approved in a 2-1 vote in May and could spell the end of those regulations. But as the Verge’s Jacob Kastrenakes noted in March, Netflix has always been squirrelly on the issue of open-internet protections, adopting bold but contradictory public positions to serve its own designs (remind you of anyone?). Back in 2012, the infamously truculent Hastings slammed Comcast for “no longer following net neutrality principles” after the internet provider’s caps on data appeared to give short shrift to the fledgling streaming service. But in January 2016, when T-Mobile’s Binge On contravened the principles of net neutrality by selectively exempting Netflix from its data caps, Hastings was all for it. “They’re not charging any of the providers. It’s an open program,” the CEO claimed at the time. The 56-year-old CEO’s Code Conference remarks are the latest entry in that more opportunistic tack. “We think net neutrality is incredibly important,” Hastings reiterated to Recode’s Kafka on Wednesday, but “not narrowly important to us because we’re big enough to get the deals we want.” Net neutrality is still backed by a phalanx of tech actors, with big names like Google, Amazon, and Facebook continuing to hold the line. Fickle though his approach may seem, Hastings is doing what CEOs are supposed to do: ensuring Netflix’s future as a profitable company. The catch is that what’s best for Netflix’s bottom line in the Trump era may not be what’s best for the web writ large. But, hey, enjoy the new season of House of Cards!